This drawing was created on February 12th, 2017, from life during a concert of the Ying Quartet at the historic Kohl Mansion, part of the Music at Kohl Mansion program. 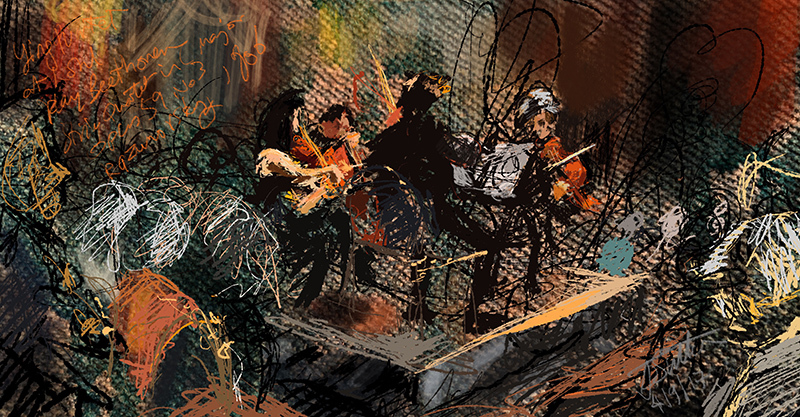 This drawing was created in the second half of the concert when they played Beethoven’s String Quartet in C Major, Op. 59, No. 3, “Ruzumovsky”.